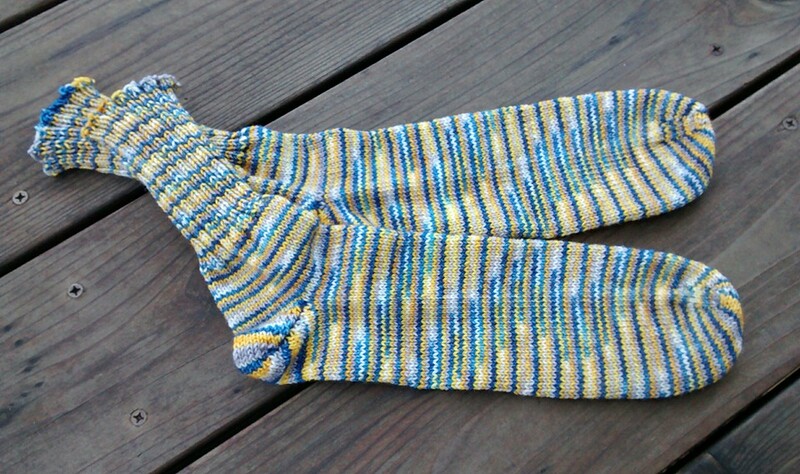 I finished knitting my cousin J’s Golden State Warrior Socks and right away got started on another knitted piece. This is a chevron pattern that I got from the book Mason-Dixon Knitting. The pattern is meant for a linen hand towel, but I thought it would work well for a nice wide scarf, too. 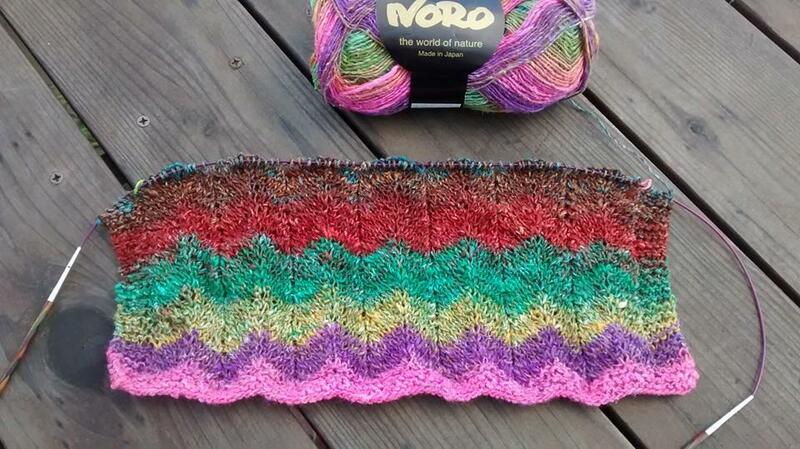 The yarn is Noro Silk Garden Sock Yarn (40% lamb’s wool, 25% silk, 25% nylon, 10% kid mohair). After spending so much time crocheting with acrylic over the last few months, I felt like getting into some of my fancy yarn stash, which I almost never use. Last year I posted an entry to reveal my shamefully abundant yarn stash, and I have to admit that since then I’ve barely made a dent in it. (It also didn’t help that I bought more yarn over the last few months.) So this year I am going to try to use up more of the fancy stuff, and hey, maybe by December I’ll have a nice little pile of handmade Christmas gifts ready to be wrapped and delivered. Categories: Handmade | Tags: knitting, scarf, shawl, socks | Permalink. Very nice piece you got there! Yup! I agree, really pretty piece and looks soft too.